Changes in credit card regulations are making it tougher for teens to get credit. As of February 22, 2010, consumers under 21 won't be able to apply for a credit card unless they have an adult co-signer or can prove that they have enough income to repay the balance on their own. It has become standard practice for credit card companies to bombard college students with offers of free T-shirts, meals, and other items to get them to fill out a credit card application. These practices won't be allowed any longer. Co-signing as a parent means that you are responsible for your kid's bill. Your teen may pinkie-swear to pay the credit card bill, but the truth is that unless he or she has a job, this isn't going to happen. 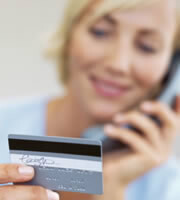 In the end, credit card companies may come after you to make the payments. Be honest with your teen if you can't afford to co-sign and be responsible for the payments. After all, if both of you default on paying for a credit card, you both will see your credit scores drop. It costs money to use a credit card. It's not uncommon for people to pay credit card rates of 18% and up, and credit card issuers have been working overtime to raise rates ahead of changes in credit card regulations. Explain to your teen the significance of credit card interest payments and how they inflate the amount you actually borrow over time. Making more than the minimum monthly payment goes a long way to cutting the total amount of interest paid. Getting a credit card with a school's logo or mascot isn't always a good deal. These affinity cards often give a cut of the proceeds to the institution involved, so you could end up paying higher fees overall. Read through the credit card terms and disclosures to see how much the school gets paid from credit cards. It's up to parents to decide whether or not to co-sign for a credit card with their teens. But for many kids, it may pay to teach them the value of hard work and to save up for what they want, rather than to become overloaded with credit card debt at a young age. 0 Responses to "4 Things to Discuss with Your Teen about Credit Cards"